Do you constantly feel anxious? Do you have panic attacks that make you feel as though you are about to lose control? You are not alone. In fact, anxiety disorders are among the most common mental health conditions faced by our society. Perhaps you've tried therapy or medication and have not found any real, lasting relief for your symptoms. So where do you go from here? 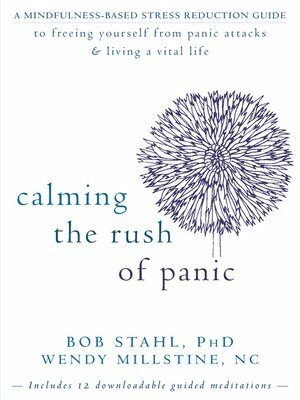 The book promotes mindfulness-based practices and exercises to help you deal with the physical, emotional, and mental effects of panic, and inside you will learn foundational MBSR meditation practices, including mindful breathing, sitting meditation, and loving-kindness meditation. If your fear response is out of sync with the situations you find yourself in, this book will show you that your thoughts are just thoughts—they are just one part of you.